OVER an 11 month period 148 registered homeless people in Northern Ireland had their applications for social housing closed because they died. 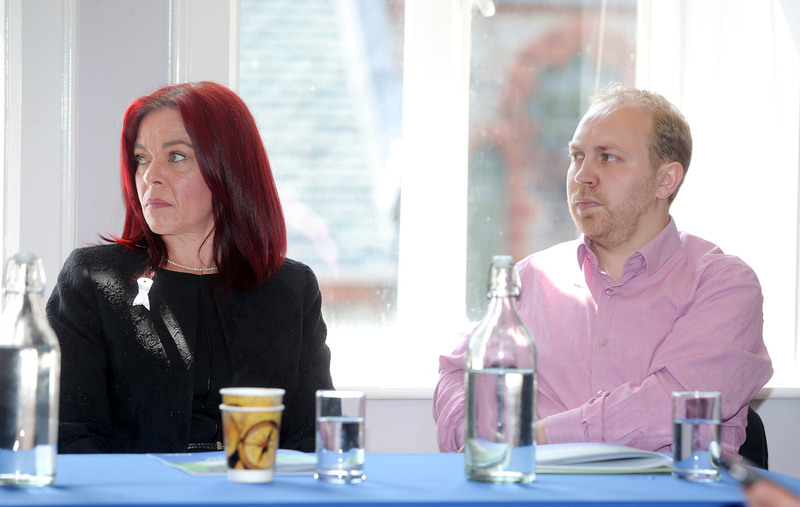 Clare Bailey, Green Party MLA for South Belfast, has described the statistics uncovered by The Detail as “brutally shocking". From October 2017 to the end of August 2018, an average of 13 homeless people per month had their housing applications closed due to death. Of the deceased, 63% were aged 60 or younger and the youngest was only 18 years old. The majority (93) were male. Their cause of death is unknown. Along with those sleeping rough on the streets, the Housing Executive (NIHE) also considers people living in temporary accommodation to be homeless. For example, this includes individuals staying in the houses of friends or family, in B&Bs, in hostels and in unsuitable or overcrowded conditions. The organisation stressed that while rough sleepers represent the most severe and visible form of homelessness, they make up a small minority of those people presenting and/or accepted as such under the legislation. The Detail requested the figures from the NIHE using Freedom of Information legislation. The NIHE said that the 148 deaths need to be seen in the context of it accepting 11,877 applications for homelessness during the 2017/18 financial year and that all of the individuals could have availed of temporary accommodation should it have been required. It doesn’t record the causes of death in these cases. Eoin Ryan, from homeless charity the Simon Community NI, told the Detail: “Sadly, homelessness is becoming more and more prevalent in Northern Ireland. “It could be the neighbour who lost their job and is worried about mortgage payments. It could be the colleague who has been thrown out of their home after a relationship breakdown. For the NIHE to consider a person or household to be statutorily homeless, they must meet the organisation’s criteria based upon eligibility, homelessness, priority need and intentionality - for example if you intentionally gave up accommodation. The Detail has been working with the Bureau of Investigative Journalism, a London based media organisation, as it attempted to record each instance when a homeless person died across the UK in the last year. It found that at least 449 people have died homeless during this time. 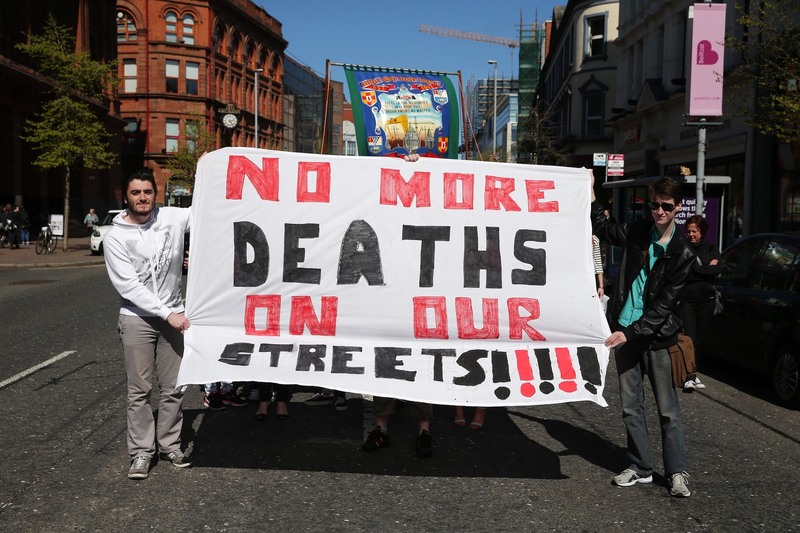 While the NIHE holds figures for homeless people who have died while waiting to be housed in Northern Ireland, elsewhere in the UK there is no official body that logs these deaths. This meant the Bureau had to jigsaw together data from various sources such as homeless shelters, soup kitchens and doctors. Therefore, the true figure of homeless deaths for the whole of the UK is likely to be much higher than 449. 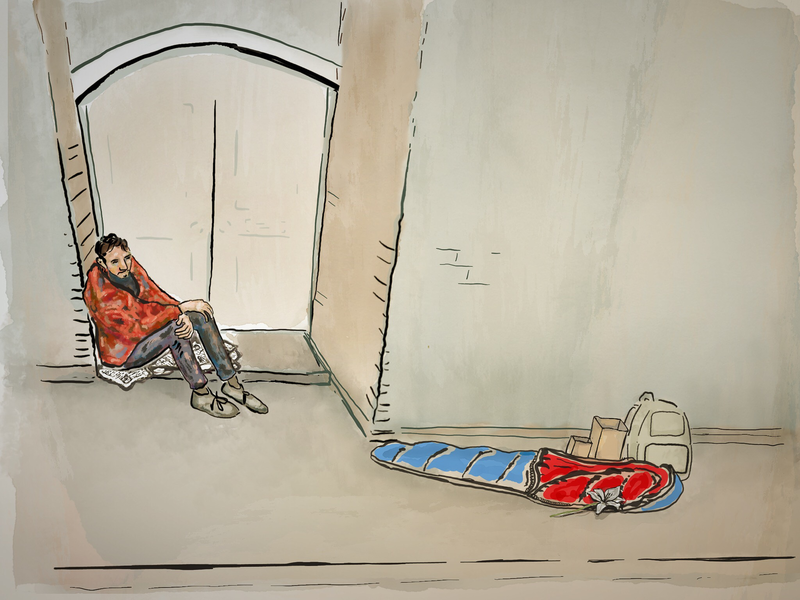 The UK data shows homeless people are dying decades younger than the general population. The average age of the people whose deaths were recorded by the Bureau was 47 for men and 51 for women, while the UK average life expectancy for men is 79 and is 83 for women. Howard Sinclair, chief executive of homeless charity St Mungo’s, said the figures were: "Nothing short of a national scandal." A report published by the NI Audit office in November 2017, entitled Homelessness in Northern Ireland, showed that there was a 32% increase in the number of applicants accepted as homeless by the NIHE from 2012 to 2017, rising from 9,021 to 11,889. The report also stated that there are not regular, official checks on rough sleeping in Northern Ireland and that the rate of homelessness is disproportionately higher than in the rest of the UK. The NIHE’s Strategy for Ending Homelessness Together for 2017 - 2022 was published in April last year. There is no mention of homeless deaths throughout the 40 page document. Regarding this, the NIHE said: “There are a number of actions which, while not specifically addressing the issue of homeless deaths, assist some of the most vulnerable members of society who suffer from a wide range of issues that may have ultimately led to homelessness. When asked why it doesn’t routinely publish data on these types of deaths, the NIHE said it was committed to increasing the range of information it publishes in relation to homelessness in general, including data that is consistent with what is published in England, Scotland and Wales. The Office for National Statistics has begun working to produce estimates on homeless deaths for England and Wales, which are due to be published later this year. The Green Party’s Clare Bailey found herself homeless for a period in 2008. Her landlord gave her 28 days’ notice to leave a rented property along with her two children. When asked what she thought about the homeless death figures for Northern Ireland, Ms Bailey said: “I just think they are really brutally shocking statistics. I have never seen those numbers before. She also said that homelessness is “not just about not having a roof over your head” and that society needs to understand it in its entirety. Ms Bailey believes that poverty, family crisis, addiction and poor mental health levels all contribute to homelessness in Northern Ireland. "IT'S HEARTBREAKING WHEN WE LOSE SOMEONE"
Meghan Corbett has worked for the Simon Community in Northern Ireland for the past 14 years. She currently works in a hostel on the Falls Road in west Belfast. She told The Detail: "We had a client pass away on this project in the last year. The staff member who found the individual dealt with another death on another project recently. "This staff team go above and beyond. It's heartbreaking and very personal when we lose someone. My staff are saving lives every day, as are staff all across the country." Meghan added that her job can also be uplifting. She said: "About two years ago, myself and two staff members performed CPR on a client for about 25 minutes and we thought he was gone. He had broken ribs, the works, but he came out of it. He is now in a great relationship and has his own business." From October 2017 to the end of August 2018, an average of 13 homeless people per month died while waiting for social housing. Of the deceased, 63% were aged 60 or younger and the youngest was only 18 years old. The majority (93) were male. Along with those sleeping rough on the streets, the Housing Executive (NIHE) also considers people living in temporary accommodation to be homeless. For example, this includes individuals staying in the houses of friends or family, in B&Bs, in hostels and in unsuitable or overcrowded conditions. The NIHE said that the 148 deaths need to be seen in the context of it accepting 11,877 applications for homelessness during the 2017/18 financial year.